Safety Straps are recommended on all folding backstops. 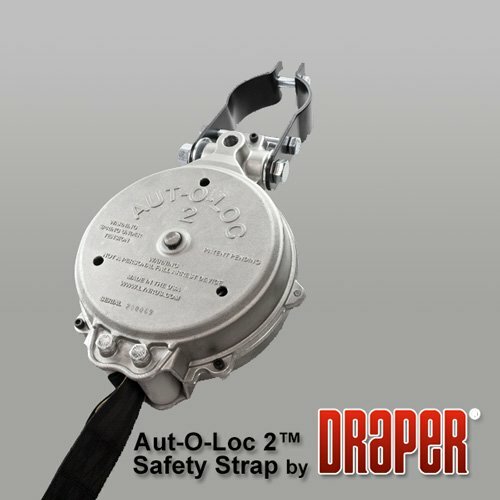 The Aut-O-Loc 2™ Backstop Safety Strap is designed to engage instantly whenever a cable or supporting structure fails. Aut-O-Loc 2™ is actuated by speed or inertia in order to stop a load from falling due to a sudden failure such as a cable breakage, cable clamp failure or any increase in speed due to failure or back drive of a winch or supporting structure. Aut-O-Loc 2™ is rated for a 1000 pounds load and will withstand a 1750 lb free falling load without any failure of components or the belt. Belt includes a maximum extension indicator and breakaway loop to indicate if the Safety Strap has been engaged.